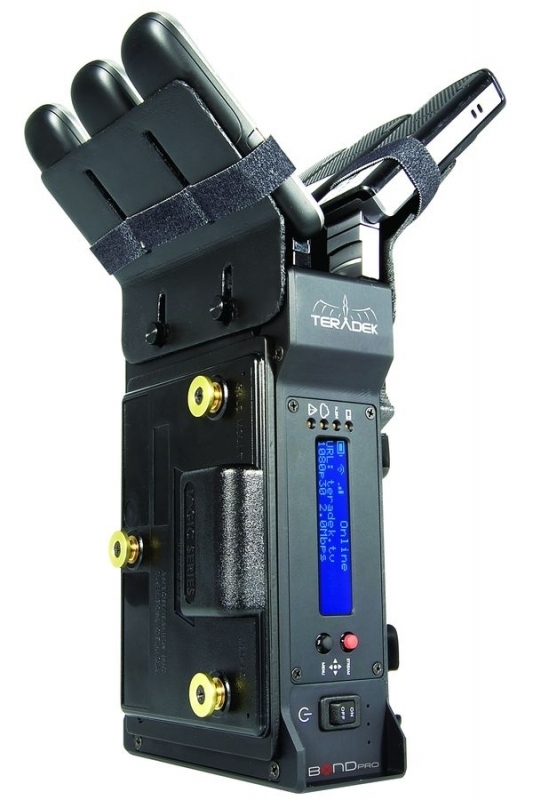 Teradek Bond Pro Integrated Camera-Back H.264 Cellular Bonding Solution. 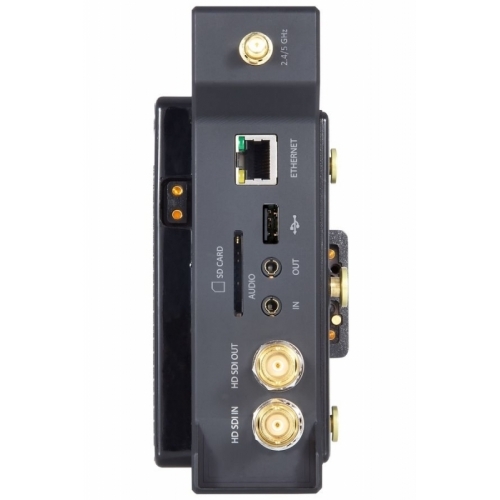 Bond Pro is an integrated camera-back HD H.264 bonded cellular solution designed specifically for broadcast cameras with Gold-mount or V-mount power systems. 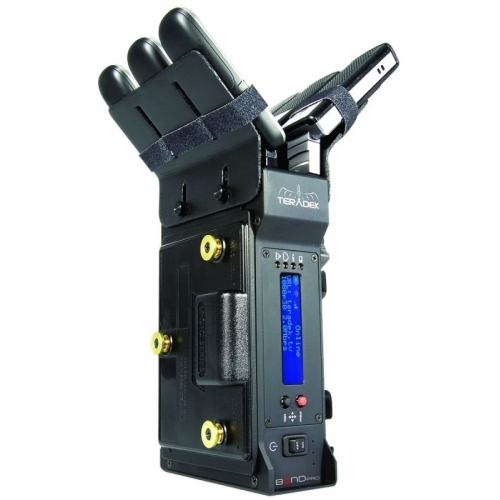 Bond Pro's modular design and ease of use make it a simple addition to any broadcast rig. Its light weight and low power consumption allows cameramen to quickly manoeuvre within tight spaces and broadcast live for long periods of time without interruption or fatigue. Like all of Teradek's encoders and bonding solutions, Bond Pro utilizes Sputnik 2.0, which gives news stations IFB communication and real-time broadcast status monitoring. 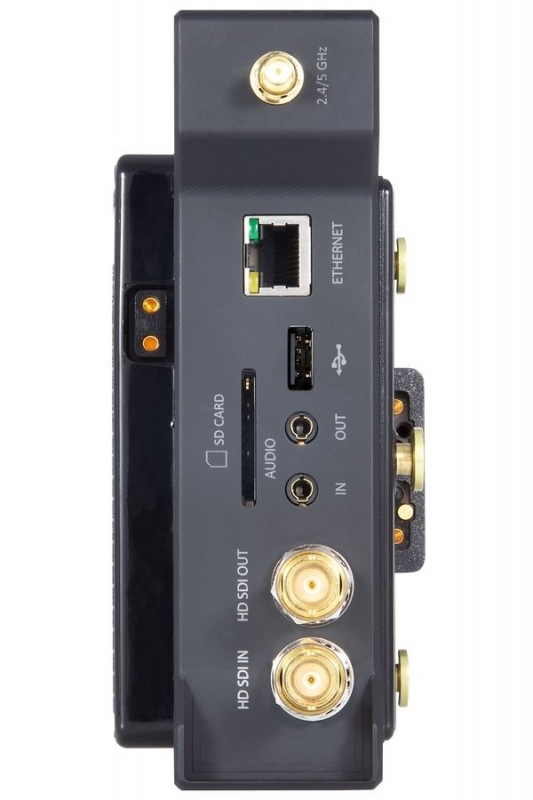 The device comes with an HD-SDI input, HD-SDI loop and a full SD card slot for on-board proxy recording. This new design also provides support for up to 6 simultaneous cellular network connections via USB dongles. Additionally, Bond Pro offers the same updated modem mounting option as Bond II, which ensures your cellular dongles are protected from aggressive handling. When the situation calls for nimble movement and extended broadcasts, Bond Pro delivers the most empowering bonding solution for ENG professionals.